Hi~! For today's post I'll be showing you some of my recent makeup purchases. I wasn't really planning to buy any of these but well, I can't resist. So yeah, I bought them closed eyes. LOL. I can't remember when I last purchase this much makeup but I'm pretty sure it was months ago. 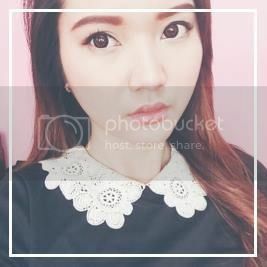 I'm making sure to buy only what I need and not what I want. But this day was exempted. Haha. 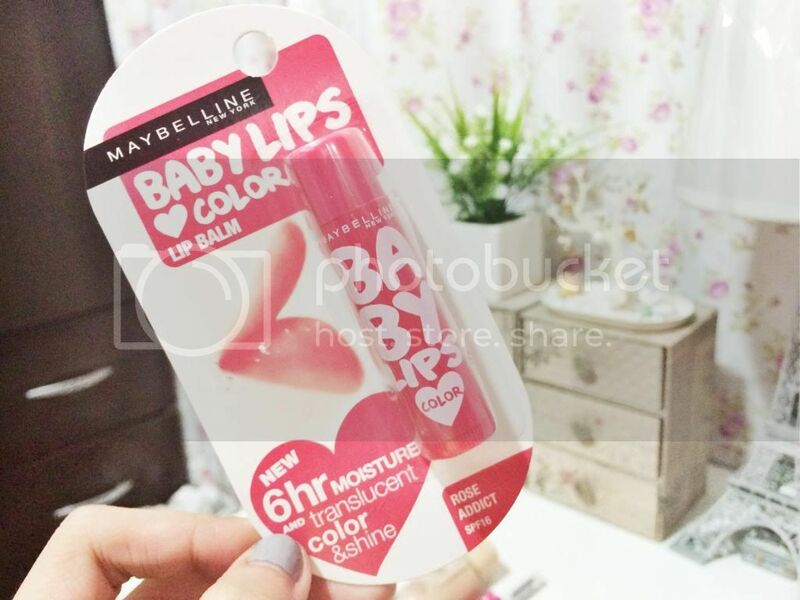 So the first thing I got is this Maybelline Baby lips color lipbalm. I'm not sure why we have different packaging from other country but I heard a lot of good reviews about this so I really want to try it and bought my own. Yay! 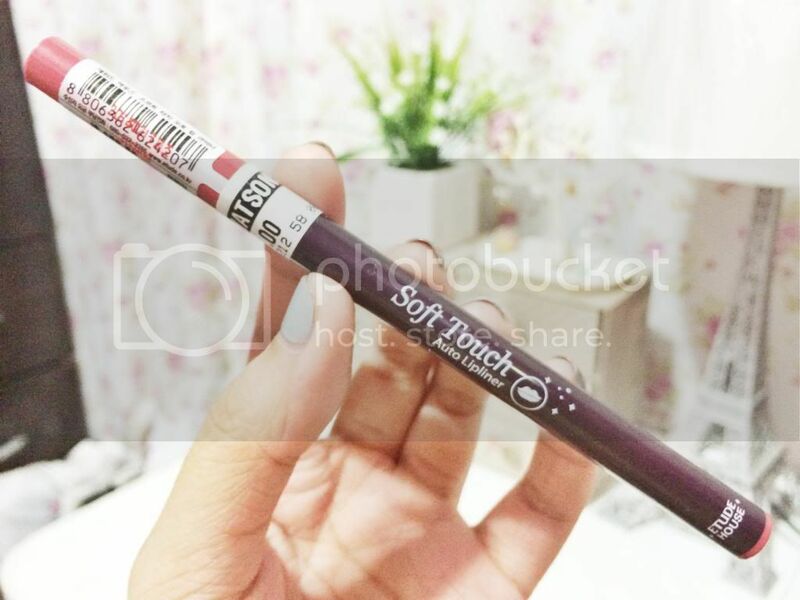 Next thing I got is this Etude House Soft lips auto lipliner. I think this is my second one. I'm still not sure if I like it. So I repurchased it to test it out again. As I can remember, this lip liner dries my lips. Since I bought a Baby lips lipbalm maybe it won't dry my lips now. Hm... I'll let you know. 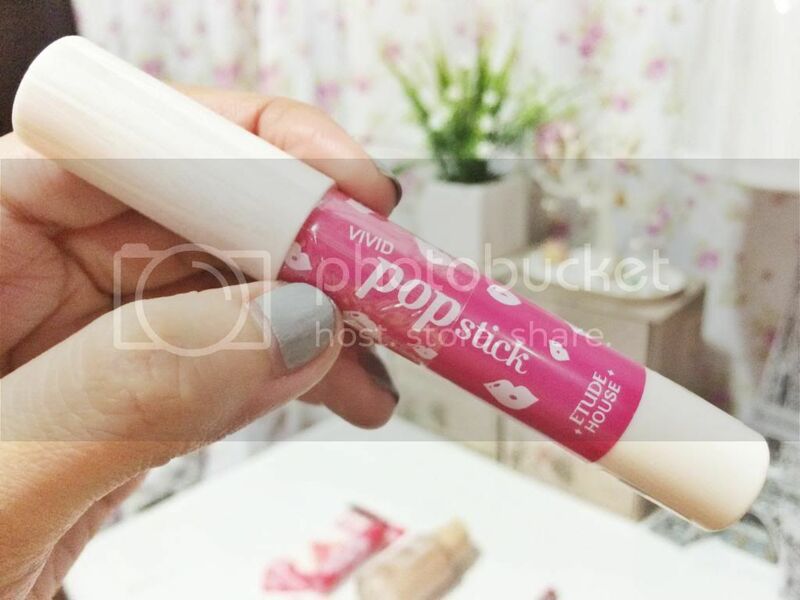 Then I got my very first Etude House vivid popstick in pink. I wasn't really expecting much when I saw this on the counter. But when I swatched it, I instantly fell in love. It is very similar to Revlon's Colorburst matte balm. It wasn't moisturizing as the Revlon one but the staying power is very good. 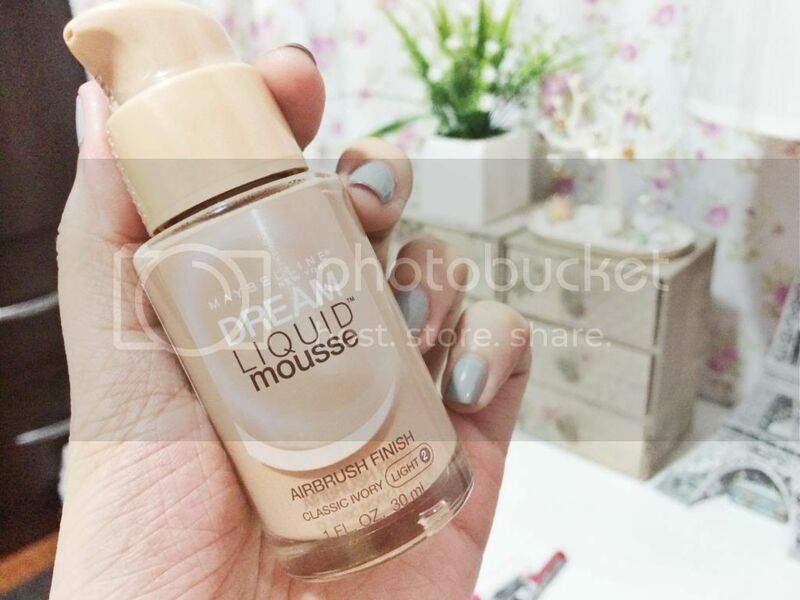 I swatched this Maybelline Dream Liquid mousse on my hand and was amazed by the texture and finish of the product. I fell in love. Didn't stop until I bought one. But when I got home, tested it out, I was devastated T_T I got the wrong shade. It didn't match my skin tone. The sales rep actually recommended a shade darker than this but I insisted that I would choose the lightest shade. But still, not for me. T_T So now I have to mix it with my other foundation to match my skin tone. 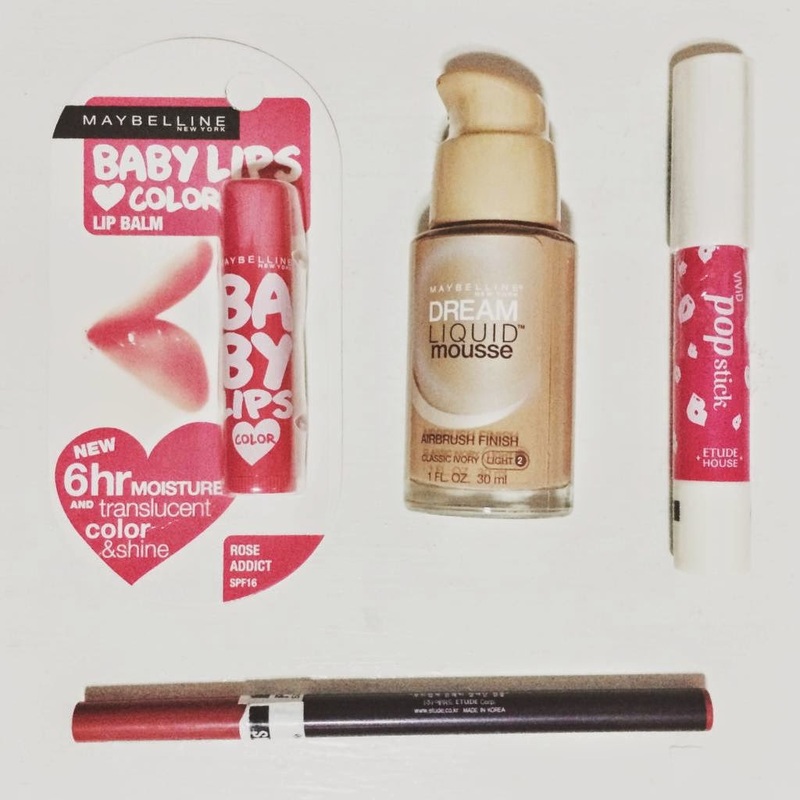 I really, really love Baby Lips! Is the foundation darker or lighter than your skin color? 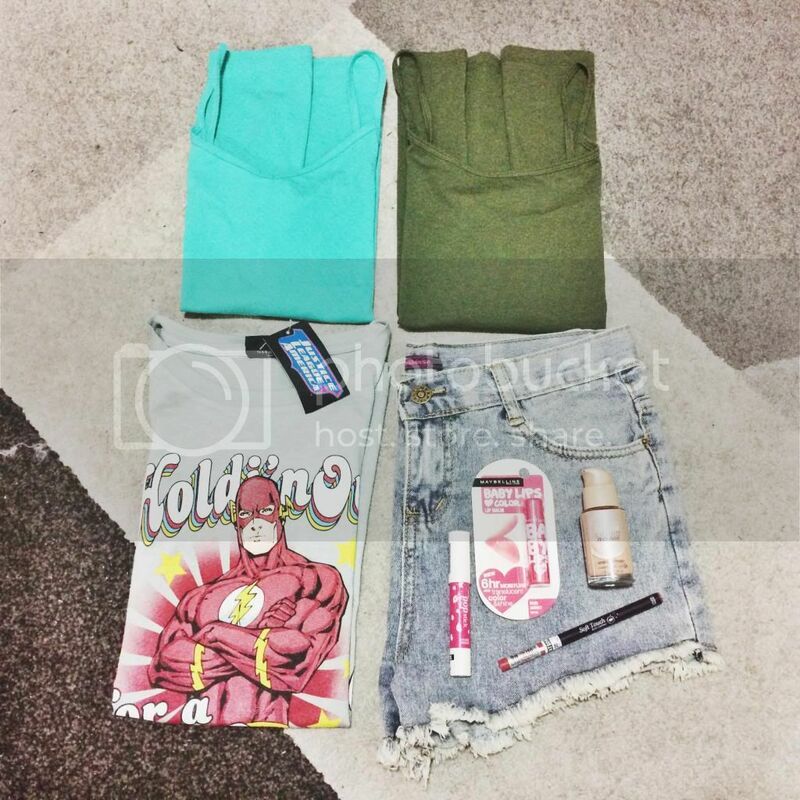 Love the flash shirt and shorts!